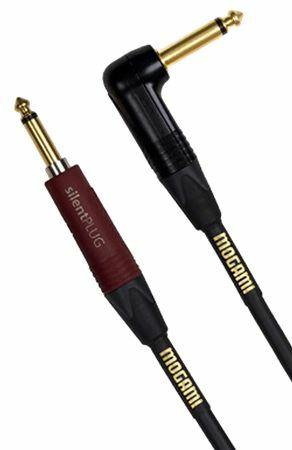 Shop Mogami Gold Instrument Silent S R Angled Cable with Straight Silent Plug from AMS with 0% Interest Payment Plans and Free Shipping. A high-definition instrument cable, Gold Instrument Silent S R has a straight Silent Plug connection on one end and a 90-degree connection on the other. Neutrik Silent Plug gives users the ability to hot-swap instruments without that earsplitting pop. This high clarity cable uses quality 1/4 inch connectors and carbon impregnated PVC to provide an additional shield layer to eliminate any handling noise.